Can “workplace stress” be defined? We hear a lot about stress, but what is it? Taber’s Cyclopedic Medical Dictionary defines stress as “the result produced when a structure, system or organism is acted upon by forces that disrupt equilibrium or produce strain”. In simpler terms, stress is the result of any emotional, physical, social, economic, or other factors that require a response or change. It is generally believed that some stress is okay (sometimes referred to as “challenge”or “positive stress”) but when stress occurs in amounts that you cannot handle, both mental and physical changes may occur. “Workplace stress” then is the harmful physical and emotional responses that can happen when there is a conflict between job demands on the employee and the amount of control an employee has over meeting these demands. In general, the combination of high demands in a job and a low amount of control over the situation can lead to stress. I have heard stress can be both good and bad. Is this true? Some stress is normal. In fact, it is often what provides us with the energy and motivation to meet our daily challenges both at home and at the workplace. Stress in these situations is the kind that helps you “rise” to a challenge and meet your goals such as deadlines, sales or production targets, or finding new clients. Some people would not consider this challenge a type of stress because, having met the challenge, we are satisfied and happy. However, as with most things, too much stress can have negative impacts. When the feeling of satisfaction turns into exhaustion, frustration or dissatisfaction, or when the challenges at work become too demanding, we begin to see negative signs of stress. What are examples of things that cause stress at the workplace? lack of perceived fairness (who gets what when, and the processes through which decisions are made). Feelings of unfairness magnify the effects of perceived stress on health. Adapted from: Murphy, L. R., Occupational Stress Management: Current Status and Future Direction. in Trends in Organizational Behavior, 1995, Vol. 2, p. 1-14, and UK Health & Safety Executive (HSE) “Managing the causes of work-related stress: A step-by-step approach using the Management Standards”, 2007. Can stress cause health effects? From: Basic Certification Training Program: Participant’s Manual, Copyright© 2006 by the Workplace Safety and Insurance Board of Ontario. fail in normal activities that require hand-eye or foot-eye coordination. Stress can also lead to accidents or injuries directly by not giving the person the control necessary to stop the threat to their physical well-being. Luckily, there are usually a number of warning signs that help indicate when you are having trouble coping with stress before any severe signs become apparent. These signs are listed below. How do I know if someone is (or if I am) having trouble coping with stress? Physical: headaches, grinding teeth, clenched jaws, chest pain, shortness of breath, pounding heart, high blood pressure, muscle aches, indigestion, constipation or diarrhea, increased perspiration, fatigue, insomnia, frequent illness. Psychosocial: anxiety, irritability, sadness, defensiveness, anger, mood swings, hypersensitivity, apathy, depression, slowed thinking or racing thoughts; feelings of helplessness, hopelessness, or of being trapped, lower motivation. Cognitive: decreased attention, narrowing of perception, forgetfulness, less effective thinking, less problem solving, reduced ability to learn; easily distracted. Behavioural: overeating or loss of appetite, impatience, quickness to argue, procrastination, increased use of alcohol or drugs, increased smoking, withdrawal or isolation from others, neglect of responsibility, poor job performance, poor personal hygiene, change in religious practices, change in close family relationships. Try to do everything yourself? Fail to see the humour in situations others find funny? Make a ‘big deal’ of everything? Look to other people to make things happen? Avoid people whose ideas are different from your own? Use sleeping pills and tranquilizers without a doctor’s approval? Get angry when you are kept waiting? Put things off until later? Think there is only one right way to do something? Fail to build relaxation time into your day? Spend a lot of time complaining about the past? Fail to get a break from noise and crowds? Adapted from: What’s Your Stress Index? Canadian Mental Health Association, Ontario (no date). 0-5: There are few hassles in your life. Make sure though, that you are not trying to deliberately avoid problems. 6-10: You’ve got your life in fairly good control. Work on the choices and habits that could still be causing you some unnecessary stress in your life. 11-15: You are approaching the danger zone. You may be suffering stress-related symptoms and your relationships could be strained. Think carefully about choices you’ve made and take relaxation breaks every day. 16-25: Emergency! It is critical that you stop and re-think how you are living; change your attitudes and pay careful attention to diet, exercise and relaxation. Do all of these signs or symptoms happen all at once and what level of help should be sought? Early warning signs are often more emotional than physical and may take a year or more before they are noticeable. Warning signs have progressed and intensified. Over a period of 6 to 18 months, physical signs may also be evident. more aggressive lifestyle changes may be needed. This phase occurs when the above phases continue to be ignored. Stress starts to create a deeper impact on career, family life and personal well-being. The help of medical and psychological professionals is highly recommended. This phase is often considered “self-destructive” and tends to occur after 5 to10 years of continued stress. From: Anschuetz, B.L. “The High Cost of Caring: Coping with Workplace Stress” in Sharing: Epilepsy Ontario. Posted 29 November 1999. What are some general tips for dealing with stress at the workplace? Since the causes of workplace stress vary greatly, so do the strategies to reduce or prevent it. 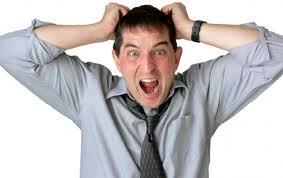 Where stress in the workplace is caused, for example, by a physical agent, it is best to control it at its source. If the workplace is too loud, control measures to deal with the noise should be implemented where ever possible. If you are experiencing pain from repetitive strain, workstations can be re-designed to reduce repetitive and strenuous movements. More detailed information and suggestions are located in the many other documents in OSH Answers (such as noise, ergonomics, or violence in the workplace, etc.) or by asking the Inquiries Service. the job should comprise some area of decision-making that the individual can call his or her own. What can the employer do to help? Employers should assess the workplace for the risk of stress. Look for pressures at work which could cause high and long lasting levels of stress, and who may be harmed by these pressures. Determine what can be done to prevent the pressures from becoming negative stressors. Employers can address stress in many ways. Treat all employees in a fair and respectful manner. Take stress seriously and be understanding to staff under too much pressure. Be aware of the signs and symptoms that a person may be having trouble coping with stress. Involve employees in decision-making and allow for their input directly or through committees, etc. Encourage managers to have an understanding attitude and to be proactive by looking for signs of stress among their staff. Provide workplace health and wellness programs that target the true source of the stress. The source of stress at work can be from any number of causes – safety, ergonomics, job demands, etc. Survey the employees and ask them for help identifying the actual cause. Incorporate stress prevention or positive mental health promotion in policies or your corporate mission statement. Make sure staff have the training, skills and resources they need. Design jobs to allow for a balanced workload. Allow employees to have control over the tasks they do as much as possible. Value and recognize individuals’ results and skills. Provide support. Be clear about job expectations. Keep job demands reasonable by providing manageable deadlines, hours of work, and clear duties as well as work that is interesting and varied. Provide access to Employee Assistance Programs (EAPs) for those who wish to attend. Do not tolerate bullying or harassment in any form. Do not ignore signs that employees are under pressure or feeling stressed. Do not forget that elements of the workplace itself can be a cause of stress. Stress management training and counselling services can be helpful to individuals, but do not forget to look for the root cause of the stress and to address them as quickly as possible. Is there anything I can do to help myself deal with the stress I am experiencing at work? Learn to relax, take several deep breaths throughout the day, or have regular stretch breaks. Stretching is simple enough to do anywhere and only takes a few seconds. Take charge of your situation by taking 10 minutes at the beginning of each day to priorize and organize your day. Be honest with your colleagues, but be constructive and make practical suggestions. Be realistic about what you can change. Yes, there are many. Your family doctor can often recommend a professional for you. Other examples include the Employee Assistance Programs (EAP) or associations such as the Canadian Mental Health Association (CMHA) or the Canadian Centre on Substance Abuse (CCSA) to name just a few. EAP programs are confidential, short term, counselling services for employees with problems that affect their work performance. The services of EAP providers are often purchased by your company. Check with your human resources department (or equivalent) for contact information. CMHA ‘s programs are meant to ensure that people whose mental health is endangered will find the help needed to cope with crisis, regain confidence, and return to community, family and job. The CCSA promotes informed debate on substance abuse issues, and disseminates information on the nature, and assists organizations involved in substance abuse treatment, prevention and educational programming. What else can I do to improve my overall mental health? Good mental health helps us to achieve balance and cope with stressful times. 2. eat right, keep fit a balanced diet, exercise and rest can help you to reduce stress and enjoy life. 3. make time for family and friends these relationships need to be nurtured; if taken for granted they will not be there to share life’s joys and sorrows. 5. create a meaningful budget financial problems cause stress. Over-spending on our “wants” instead of our “needs” is often the culprit. 6. volunteer being involved in community gives a sense of purpose and satisfaction that paid work cannot. 7. manage stress we all have stressors in our lives but learning how to deal with them when they threaten to overwhelm us will maintain our mental health. 8. find strength in numbers sharing a problem with others have had similar experiences may help you find a solution and will make you feel less isolated. 9. identify and deal with moods we all need to find safe and constructive ways to express our feelings of anger, sadness, joy and fear. 10. learn to be at peace with yourself get to know who you are, what makes you really happy, and learn to balance what you can and cannot change about yourself. Give yourself permission to take a break from your worries and concerns. Recognize that dedicating even a short time every day to your mental fitness will reap significant benefits in terms of feeling rejuvenated and more confident. “Collect” positive emotional moments – Make a point of recalling times when you have experienced pleasure, comfort, tenderness, confidence or other positive things. Do one thing at a time – Be “present” in the moment, whether out for a walk or spending time with friends, turn off your cell phone and your mental “to do” list. Enjoy hobbies – Hobbies can bring balance to your life by allowing you to do something you enjoy because you want to do it. Set personal goals – Goals don’t have to be ambitious. They could be as simple as finishing a book, walking around the block every day, learning to play bridge, or callingyour friends instead of waiting by the phone. Whatever goal you set, reaching it will build confidence and a sense of satisfaction. Express yourself – Whether in a journal or talking to a wall, expressing yourself after a stressful day can help you gain perspective, release tension, and boost your body’s resistance to illness. Laugh – Laughter often really is the best medicine. Even better is sharing something that makes you smile or laugh with someone you know. Treat yourself well – Take some “you” time – whether it’s cooking a good meal, having a bubble bath or seeing a movie, do something that brings you joy. Adapted from: Canadian Mental Health Association Mental Fitness Tips .